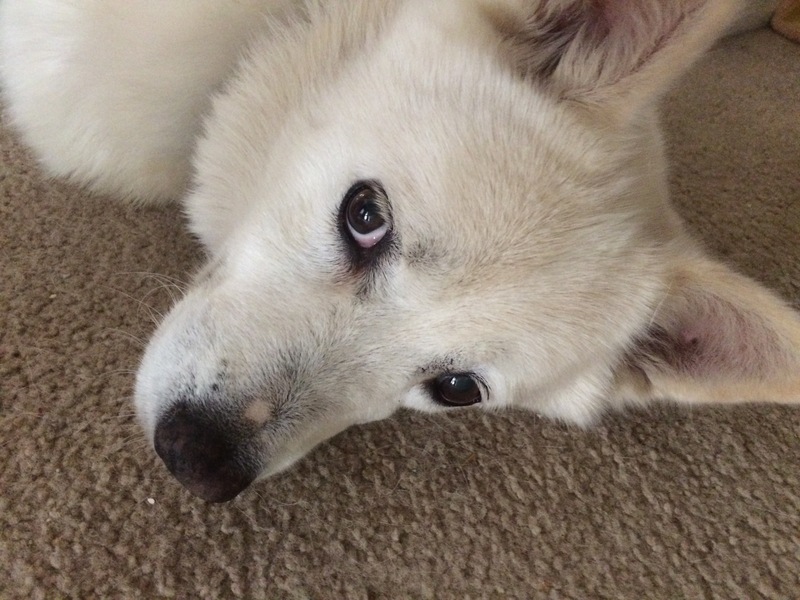 Ponderings on dog faced boys, my son’s Werewolf roommate, medical weirdness, art, and an update on my own dog. When I dropped my daughter off at school this morning she mentioned that today there will be a rally to say farewell to all of the graduating seniors. Seniors were all wearing red – the main school color. Graduation is next week. The last day of school for everyone else is June 4th. This year he and his best buddy Randy (he of the orange plaid pants) lived in the dorms. They’ve found a small house to live in next year. It is sort of a cottage divided up into a rabbit warren of four bedrooms, a living area, a kitchen and a bathroom. It is cute and old and perfect for college kids. They’re excited to have two new roommates. One is a girl named Layla who lived in the dorms with them. Yes, her parents are Clapton fans. And yes, like Garrett and Randy she is a Vampire. And no romantic interest is there at all with any of the three. So, being the mom I am, I asked about the fourth roommate. Girls. Surfing. College. Boys. OK, I trust my son. I’ve raised him right. He is a sweet kid. “What’s her major?” I had to ask. It is college so I have to ask. “She sounds smart,” I say. I have no problems with diversity. I have no problem with most Werewolves. But I don’t think my son realizes the problems that he could have living with a Werewolf. “Garrett, are any of Bailey’s litter mates going to school with you?” Needless to say most Werewolves are multiple births like twins and triplets. Their families are tight and protective. Oh. He went on to explain that she’d been bitten and infected when she was sixteen. It was traumatic to say the least. She is getting along fine with the help of her uncle. I asked if he was also a Werewolf. 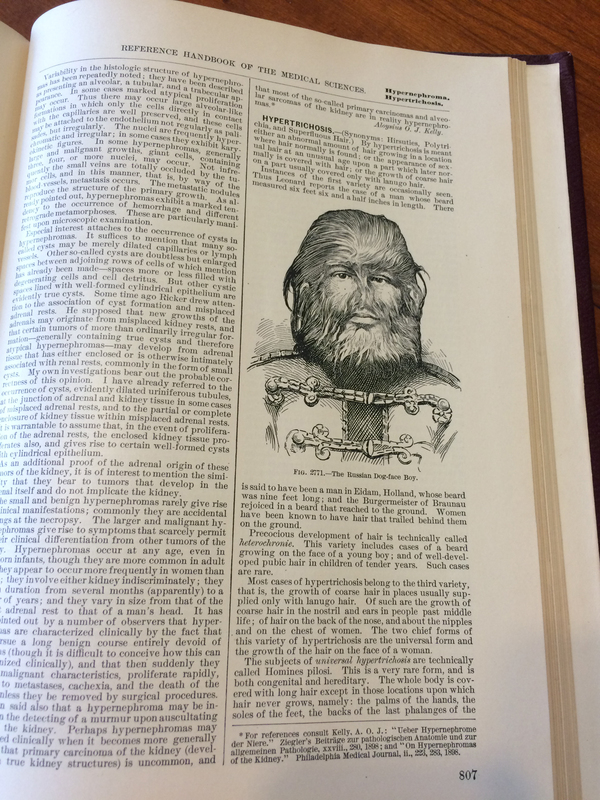 So I got out my old medical book and texted him a picture. 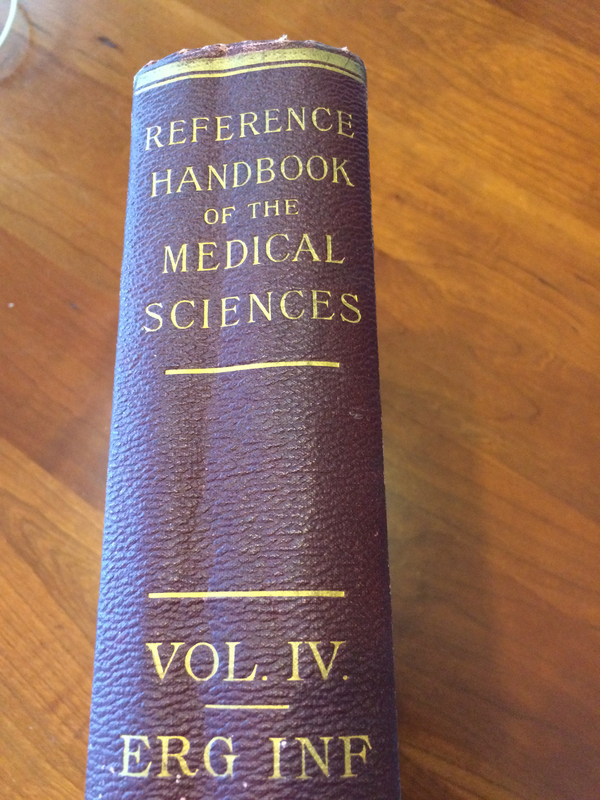 My old medical text book. It is full of all sorts of amazing and disgusting and scary things. The entire Jo Jo page. 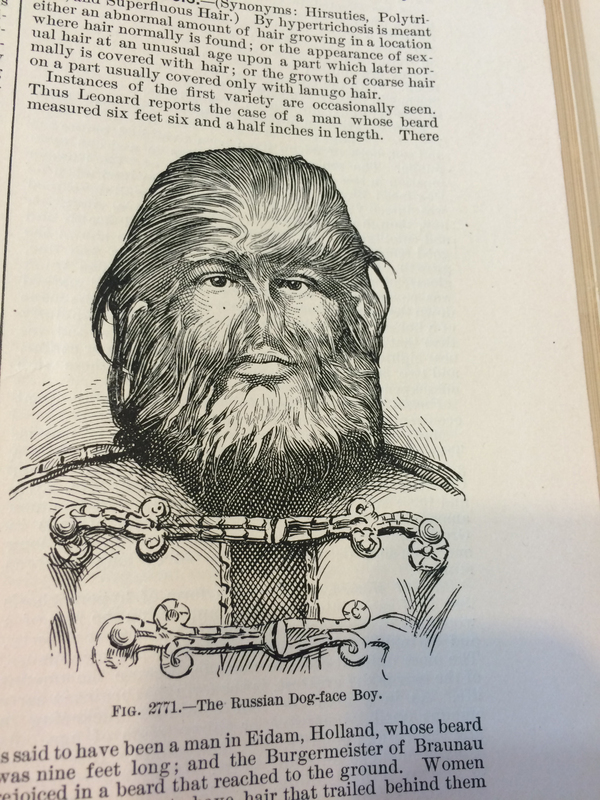 As I was looking for the article about hairy boys I came across all sorts of interesting things. 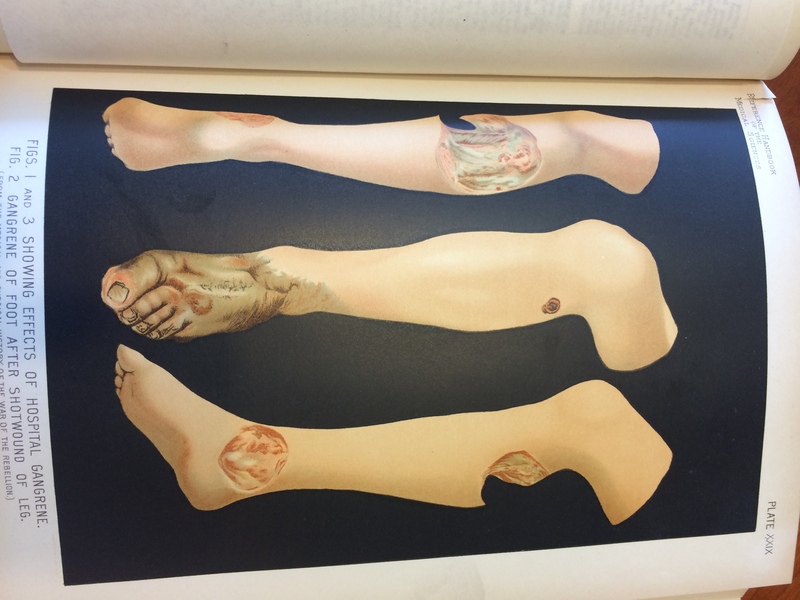 There were pages and pages on gunshot wounds. And this. The woman with the goiter. For those who don’t know, a goiter is an abnormal enlargement of the thyroid gland. It is usually caused by the lack of iodine. That is why a lot of salt you buy in the grocery store contains iodine. 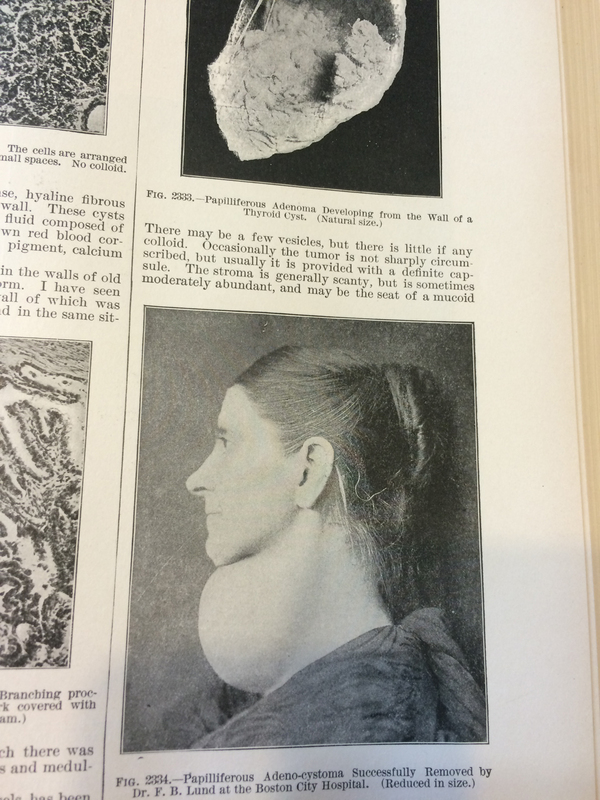 A woman with a large goiter. This is so sad. 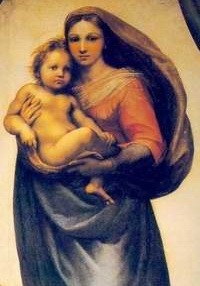 The first time I saw Bartomlomeo Vivarini’s painting of the Madonna with a Goiter I thought “WTF.” It must have been painted for a patron of the artist in the likeness of his wife or mistress. 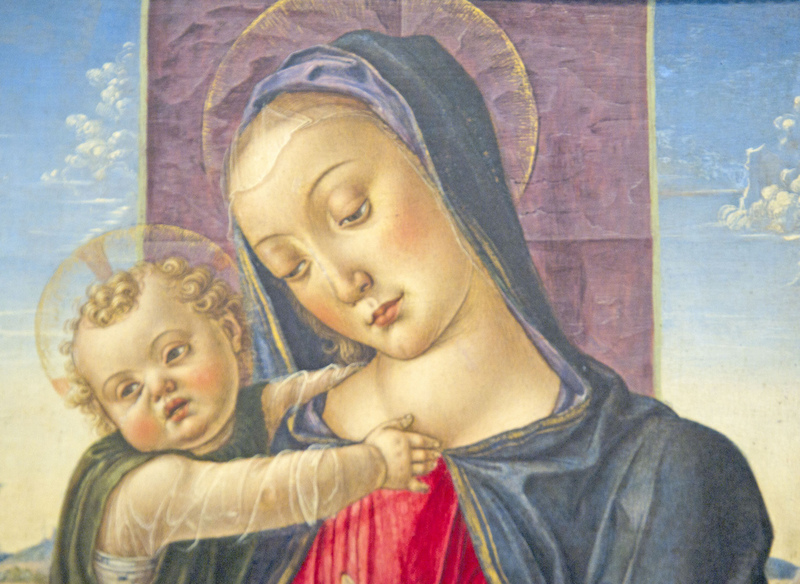 Why else would someone paint a portrait of the Madonna with a goiter? 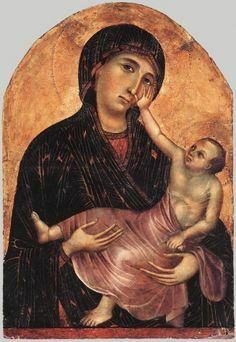 Then I started thinking about all of the other weird and random sort of ugly and disturbing Madonna and Child paintings out there. 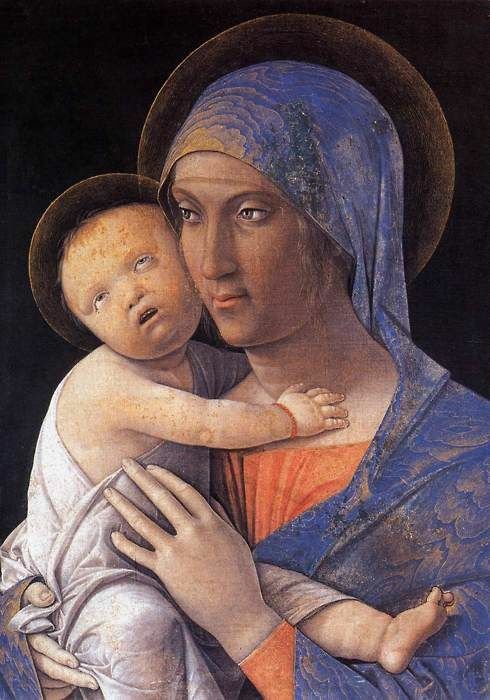 In so many baby Jesus looks like a middle aged man. Come on guys, you don’t use Karl Malden as a model for a new born baby. Guys, please, do it right next time or think about another profession. Maybe painting babies or women isn’t your thing. 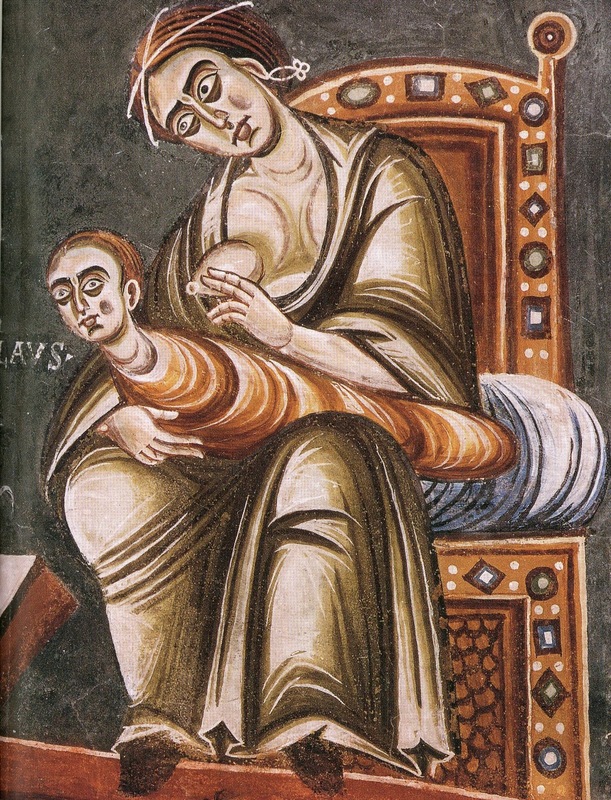 Mary with a mini body builder. I mean, dude, yes, you the artist. What were you thinking? The artist used his brothers Jake and Harold as models for this one. And my favorite – Torpedo Baby! 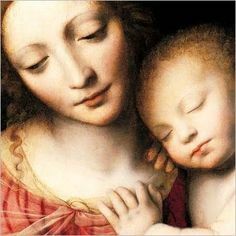 Raphael could paint both women and babies. Bernardino Lunie did it right. This is so sweet. Oh my goodness. Thank you Mr. Luini for getting it right. 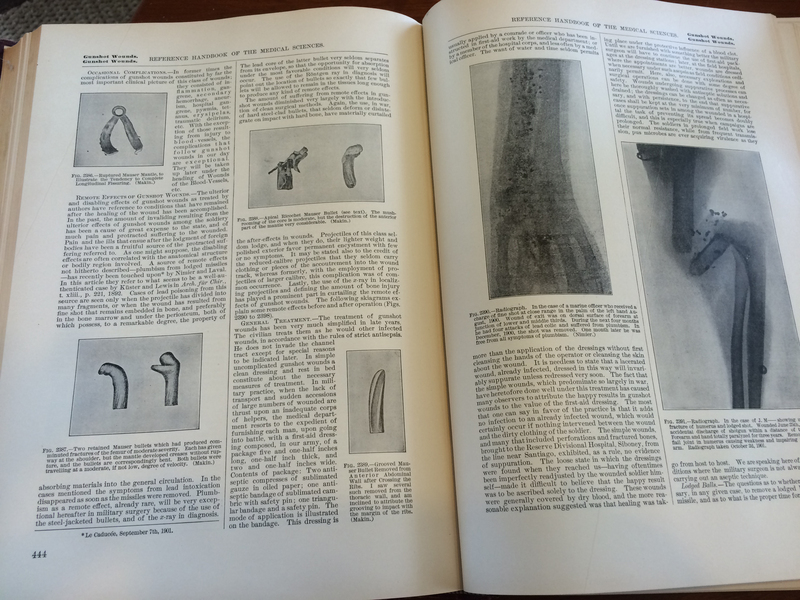 Then I thought of how both art and medicine have changed, but some things stay the same. There will always be quackery and bad art. 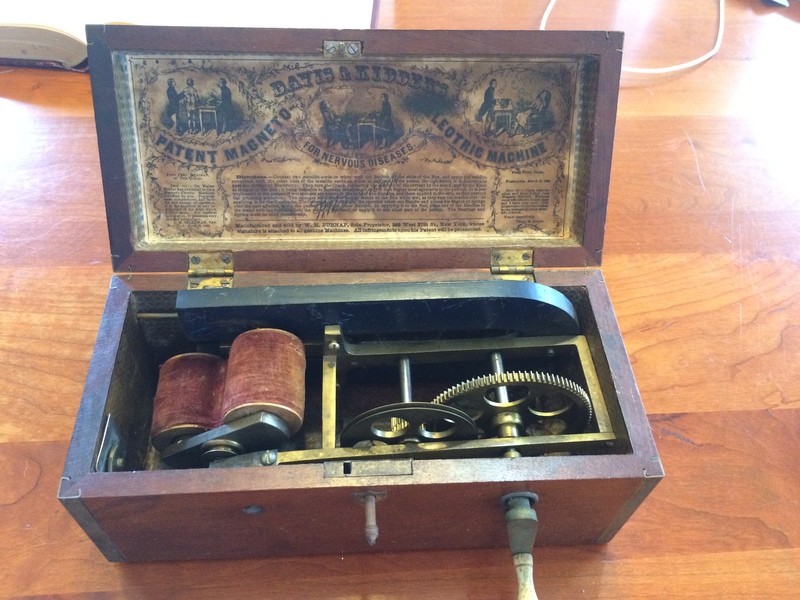 I have a funny little medical contraption my husband Teddy brought home a few years ago. It was just for kicks and grins. Yes, thousands of these things were sold. Plug me in and charge me up baby! 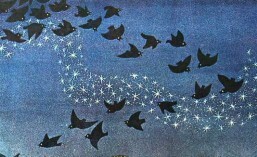 But there are always those disturbing images you just can’t get out of your head. I know it will be ok. I hope. We’ll talk about it more this summer. I hope he is prepared for full moons this fall. Thank you to everyone who read my post about my old dog Jasmine. She is doing better these days. One day she’ll stay in one spot for twelve hours. The next day she will be jumping around like a puppy. Juliette, I’m fine. You worry too much about me. Um, do you have any treats? For all of us in my household and circle this is a time of change. I hope for good change and growth. I have a feeling summer will bring good things. Very good things. So now… after all of that fun, I have a short story to write and some artwork I need to finish up. Have a good weekend everyone. And stay away from the medical books. Note: I’m having problems with the formatting on this post. Ugh. This entry was posted in art, College Life, Musings, Parenting, Ponderings, Vampires, Werewolves and tagged Bad Art, goiters, Jo Jo the Dog faced boy, life, Madonna, Medical History, parenting, roommates, ugly babies, vampires, werewolves. Bookmark the permalink. ← Bad Moms. And school was good this year. Thank you. She is such a sweetheart too. She definitely looks like a sweetheart! “…Here baby, there mama. Everywhere daddy daddy. Hair, hair, hair, hair, hair, hair, hair…” from Hair by the Cowsills. I have enough problems with ghosts, I don’t think I would want a Werewolf in the house. Anatomy and physiology in paintings from the Middle Ages could be quite curious. HA HA HA HA. Keep me updated on the ghost. This was a quite interesting and informative post, Juliette… and jumping from subject to subject. 🙂 I loved it! And I’m glad to hear about your dog. I hope she’ll be doing better soon. Keep us updated. 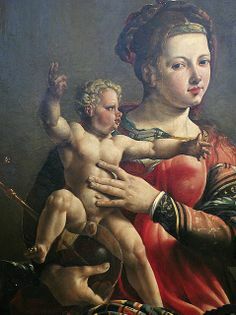 Check out the hands on the Madonna with the buffy bellied baby. Yikes. She looks like Spider Mom. Oh my gosh you’re making me laugh out loud thinking about Buster! It always makes me laugh. Talk about weird and random. Thanks for dropping by – as always. And hey, thanks for taking in Teddy for the night. He said it was great to see you.